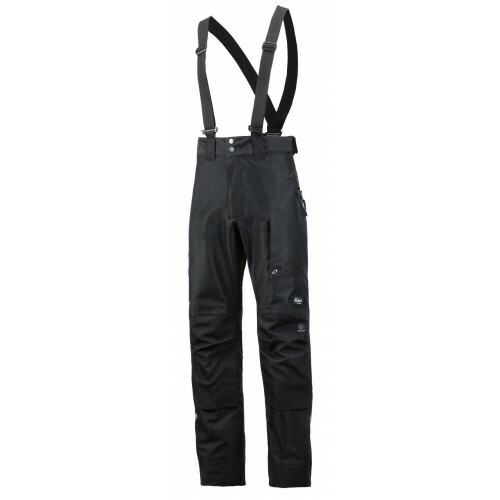 Snickers Clothing have desiden a new GORE TEX Shell Trousers, For extreme protection all day long. Advanced and high-functionality work trousers in reinforced 3-layer GORE-TEX® fabric, giving you the ultimate in dry and ventilated working comfort. All day, any weather. Conforms to EN 343. Cutting-edge 3-layer breathable GORE-TEX® fabric 100%, Polyester 200 g/m² and 100% Polyamide 285 g/m², ePTFE membrane, with built-in liner and sealed seams for 100% waterproof and windproof long-term protection and comfort.